30.12.2017 - Sadly, we have lost the male, but the female is doing very well and got name Fleaur. 29.12.2017 - Puppies "F" have theire litter pages here. 28.12.2017 - Actions callender updated for year 2019! Also with wolfdogs actions. 27.12.2017 - The resuts of our internal competition Tobrok of year 2018. 1. place Tobrok Casshern Yel "Bax"
2. place Tobrok Barakka Bor "Alma"
3. place Tobrok Cloris Loris Yel "Mia"
25.12.2018 - At the evening did Angstroom gived birth to 2 puppies. One male and one female. Both are reserved for now. 21.12.2018 - Its the third birthday of our litter "B"!!! Barakka, Betalgea, Bighan, Balerion, Baharak and Briseis. I wish them long life with thire families! We also remember Biryuk, who did died. 20.12.2018 - Today did snow again and the dogs enjoy it! Few days until Christmas and Im still thinking, what to give them under the Christmas tree. 19.12.2018 - Angstroom few days before delivery. She looks huge, but we do not await many puppies. We take pre-reservations, so if interested in puppy from this litter, please contact us. 17.12.2018 - We have the DM and DW results of Drogo Tar. Dwarf negative, degenerative myelopathy carrier. If you are interested in mating, please feel free to contact me, I will give the contact to the owner. Judge: Cseglédi, HU. Akkanga LEon Eperies - Excellent 2. Judge: Vondrouš, CZ. 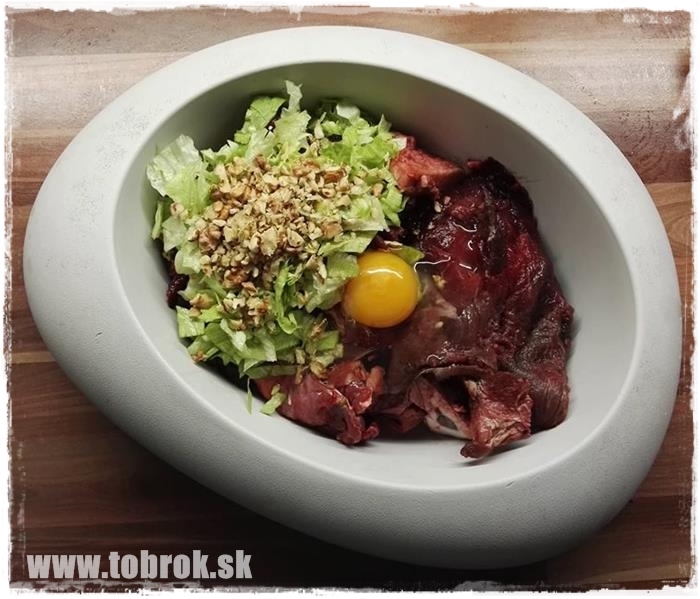 Tobrok Barakka Bor - Excellent 2, res.CAC, res.CACIB! 08.12.2018 - Todays CACIB Nitra started the junior class of our Lora. Judge: Papp Vasile Carol, RO. Akkanga Leon Eperies - Excellent 1, CAJC! Judge: Robak, PL. 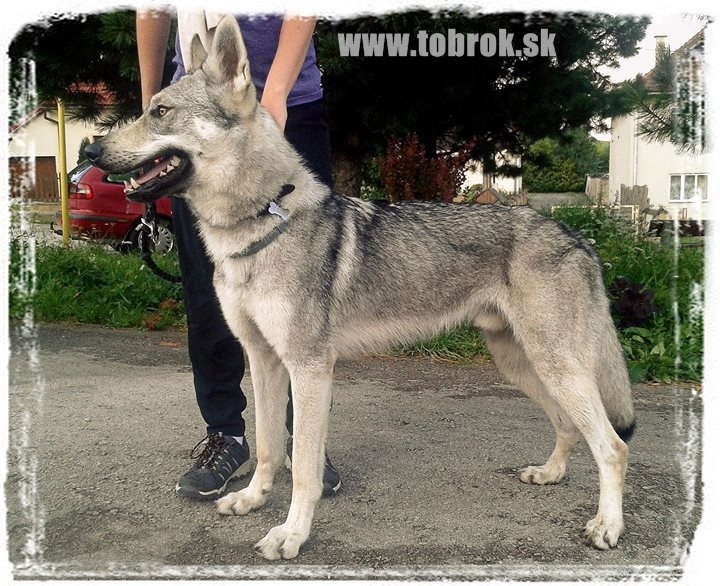 Tobrok Barakka Bor - Excellent 2, res.CAC! 02.12.2018 - CACIB Praha, Česká republika, judge: Piskay (SR), Tobrok Conall Yel without any judgement or reasons told ended with Very good 4. As stud we choosed for the first time Caleb, her life partner, but he is still not a stud. So we used his brother, also super male, great in format and bright in colors. Casshern. Both do not have any puppies yet, so we can not tell about the pluses of this litter or its minuses. We can only tell, there will be bright colors in the hair of the pupps!!! We akcept pre-reservations! 14.11.2018 - Update in the Media presentation. 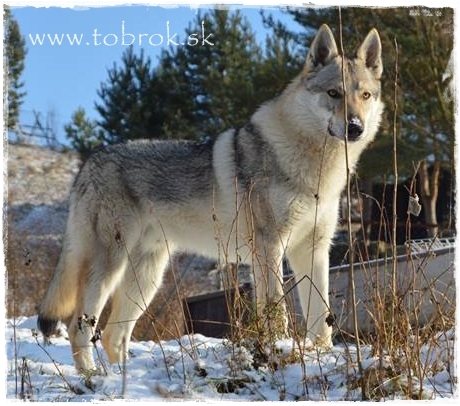 Tobrok Drogo Tar - As Of P1/69 Xv 55,07 Xf 110,87 Xh 0,647 SK STUD MALE! 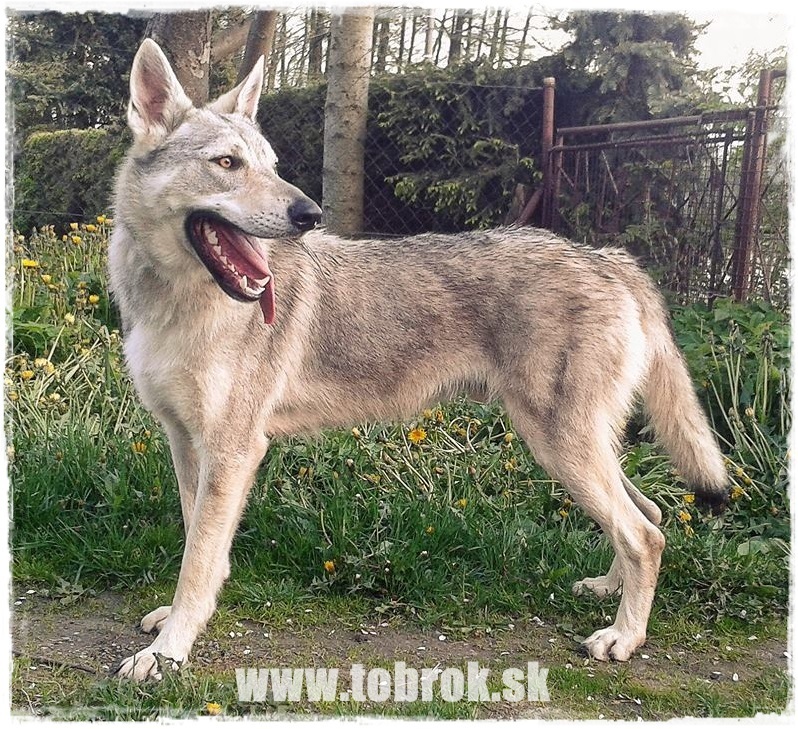 Tobrok Casshera Yel - As E1 Of P1/65 Xv 56,15 Xf 109,23 Xh 0,6875 SK BROOD FEMALE! 02.11.2018 - The banner is updated. If you do not see the change, delete the history of your brovser - stored pictures. 31.10.2018 - Since few days we have mated Angstroom and Casshern. In one month we will check at sono, if succesful, but the mating was only once, so, we can not tell if there will be any pupps of not. 21.10.2018 - Yesterday celebrated our litter "D" the second birthday!! All the best to Daenerys, Drogo a Doreah! 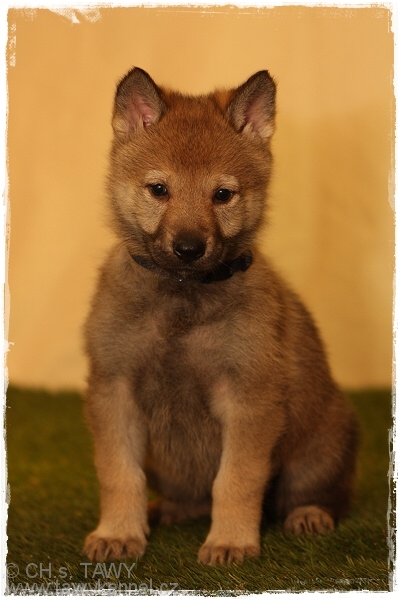 Now we are finished with puppy class and start juniores in Nitra, in december. 17.10.2018 - Im realy sorry not to update so often anymore. We have a lot of to do, in winter time will be sure better. But now are all infors about kennel, results, plans and pupps updated. 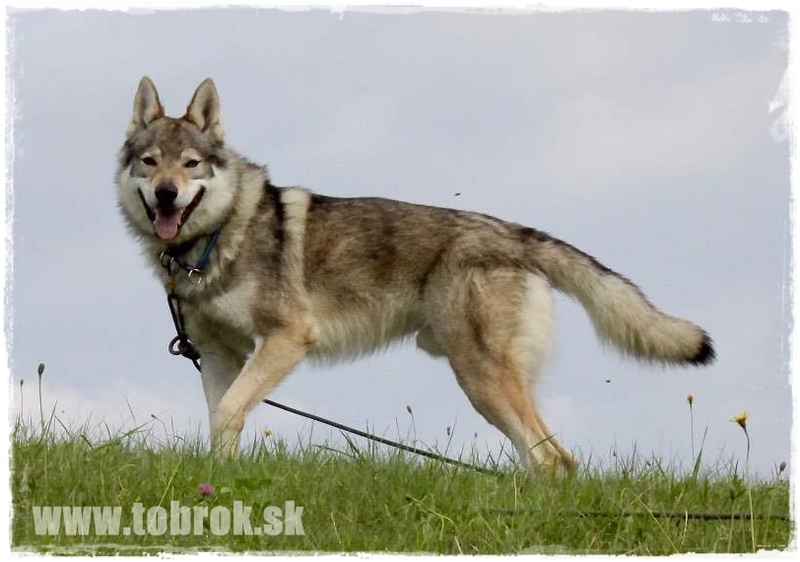 06.10.2018 - Today SVP 1 - Endurance run a term of stud in Slovakia ended with success for both Tobrok girls. Barakka and Casshera completed with great times, Barakka excellent, Casshera Very good. Both missing only bonitation and they will be brood females. Cangratulations and thank you! 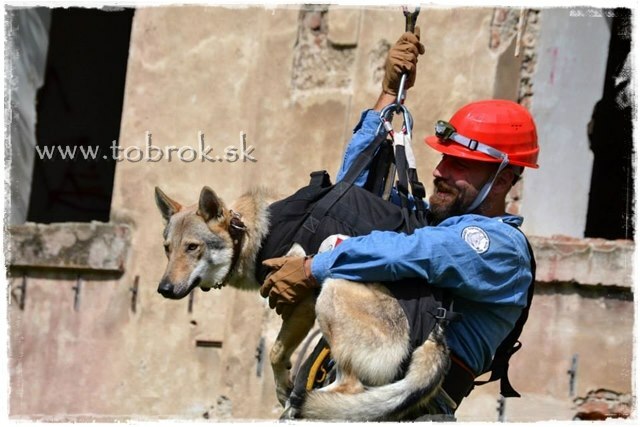 30.09.2018 - CACIB Tulln, Rakúsuko, judge: ?. Tobrok Casshern Yel open class - Excellent 1, CAC, res.CACIB! Congratulations!!! He is missing now only one CAC for his first championship!!! 28.09.2018 - Ewoka and Emperora are one year old today! 22.09.2018 - Lora (Akkanga Leon Eperies) on Slovakian Leonberger Club show in Kamenný mlyn, judge: Václavík: Very promissing 1 ♥ and a fantastic judgement! What a special and great day again! 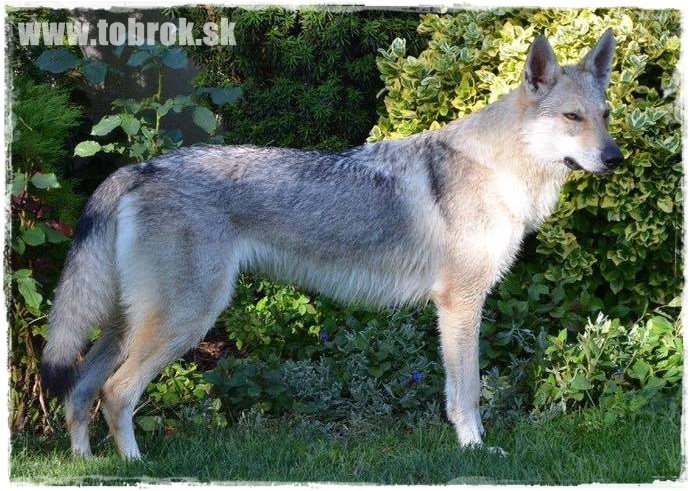 16.09.2018 - Tobrok Caritas Yel - club show of CsW Nadějkov, ČR, jufge: Jedlička (ČR) - Excellent (of 14 dogs). 15.09.2018 - Hard Dog Race, Opatov, Pardubice, Czech. Tobrok Drogo Tar 77.place of 517!!! 19.08.2018 - CACIB Bratislava. Barakka Excellent 1, CAC!!! 14.08.2018 - Bonitation and youth presentation - Dolný Kubín. 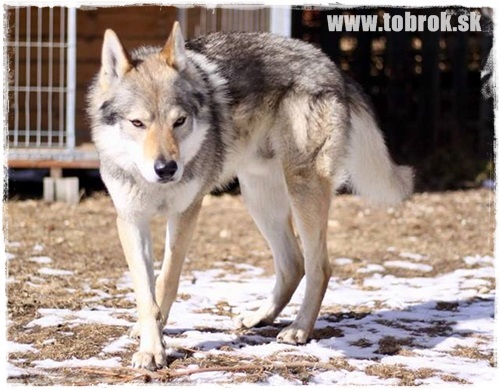 Tobrok Casshern Yel - As Of P1/67 Xv 56,72 Xf 107,46 Xh 0,705 SK STUD MALE! Tobrok Cloris Loris Yel - As Of P1/64 Xv 56,25 Xf 109,38 Xh 0,696 SK BROOD FEMALE! 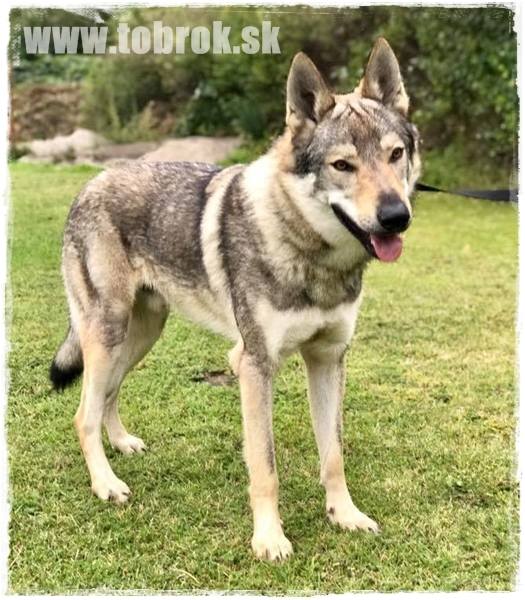 30.07.2018 - Updated part "Breeding dogs from our kennel". A big thank zou for repre also in such hot waether and congrats to the results! 24.07.2018 - The english part about kennel is not actual, I will do update next week, since we finish hard work on our house and prepare for dogshow this week. 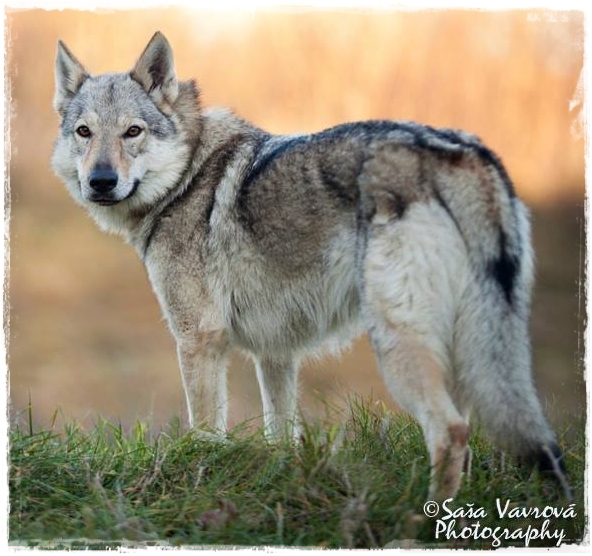 As you have read, we have first stud male from our kennel and new breeding plans for this year. So all the news will come in shortest time. 22.07.2018 - On Czech bonitation took part also Conall and is now STUD MALE! Code A68 Oj Qp Xv55,9 Xf108,1, negative on both DM and DW, clear HD and ED, short ear 10cm, bright head 15,5cm. Excellent longer coat, movement and the best - excellent character! 29.06.2018 - We have the results of ED for Caleb. We are super happy, since its 0-0, so negative!!! 28.06.2018 - Night run with dog in Bratislava - Moon run absolved with his owner Drogo. The road was 6km long. Thank you for presentation! 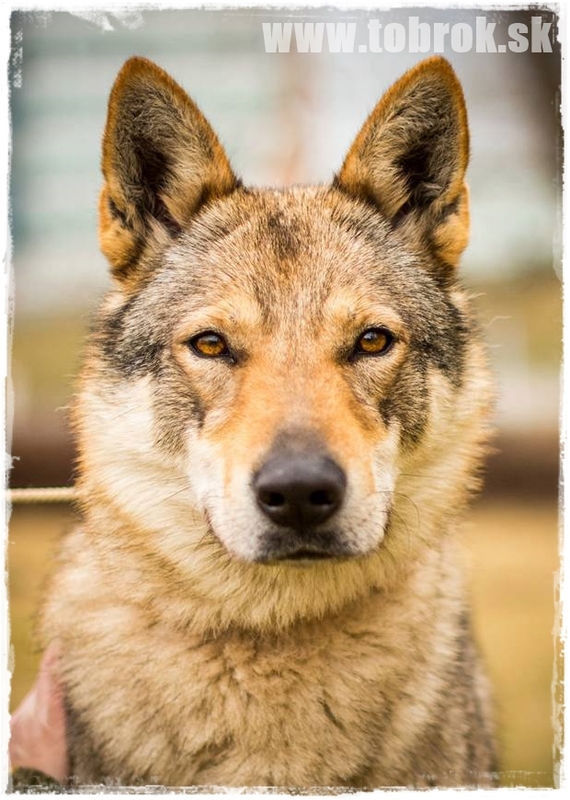 20.06.2018 - Briseis (Wolf) is travleing to new home. Will be presented under our kennel and absolve all stud terms ASAP. 18.06.2018 - We do not know the reason for now, but today died another puppy from the litter "D" Tawy after our Gunner and Ambra Tajemný přelud. 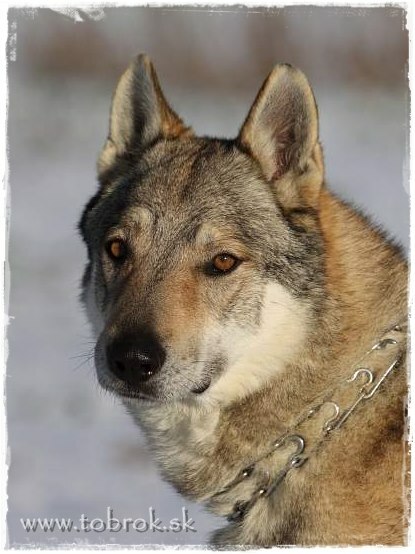 Drago Nanuk Tawy died in age of 5,5 years. 11.06.2018 - Today Im comming back to the show in Nitra. The first is, that all 3 days were double handling used by the italian part of handlers and no judge did something against it, even when they ruin the stack of other dogs and theire concentration. 10.06.2018 - CACIB Nitra. Judge: Charlotta Mellin (SE). Akkanga Leon Eperies, baby class - Very promissing 1, Slovakian puppy champion!!!! C.I.E. 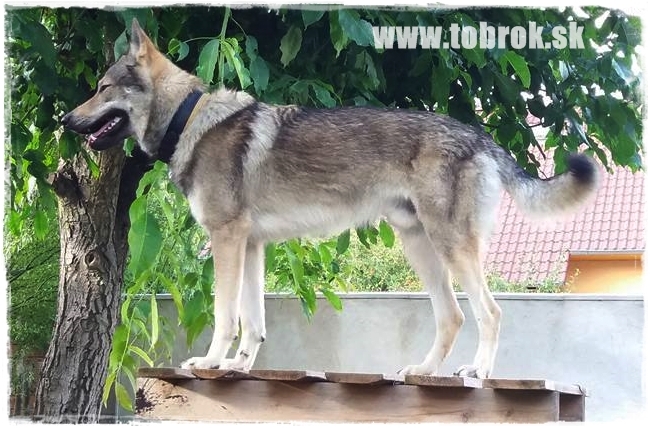 Amarok Saint Barbarons, champion class - Excellent 1, CAC, res.CACIB. Amarok just finished his show carrier for now. But Lora just started and I hope, she will so good as he was. For our puppies, there was only Cloris Loris and finished as Excellent 3! Judge: Matyáš (SK). 09.06.2018 - CACIB Nitra. Judge: Monika Blaha (AU). 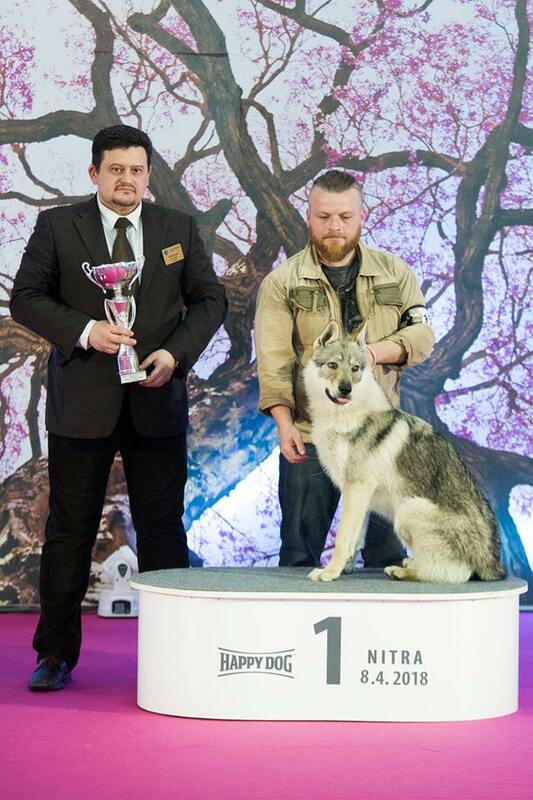 Akkanga Leon Eperies, baby class - Very promissing 1, Grand Prix Slovakia Minor Puppy Winner 2018. C.I.E. 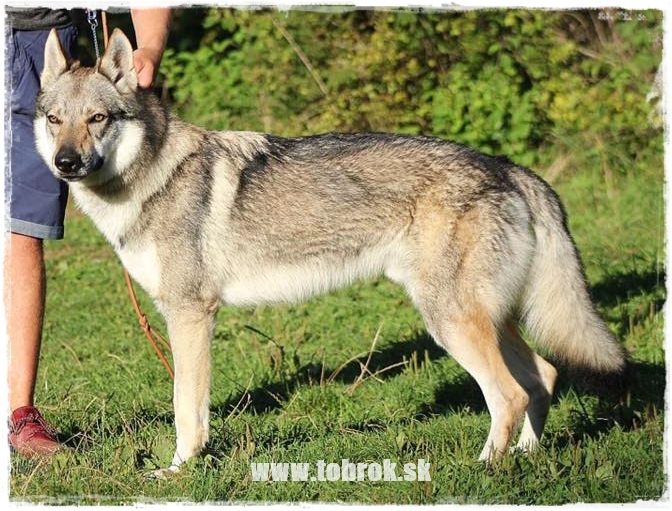 Amarok Saint Barbarons, champion class - Excellent 2, res.CAC. In mean time on Regional show in Rokycany, Czech republic, Conall - Excellent 1, Class winner, Regional winner a Best of National Breeds 1!!! 08.06.2018 - Show marathon in Nitra begins. Akkanga Leon Eperies, baby class - Very promissing 1 , Best of breed baby. C.I.E. 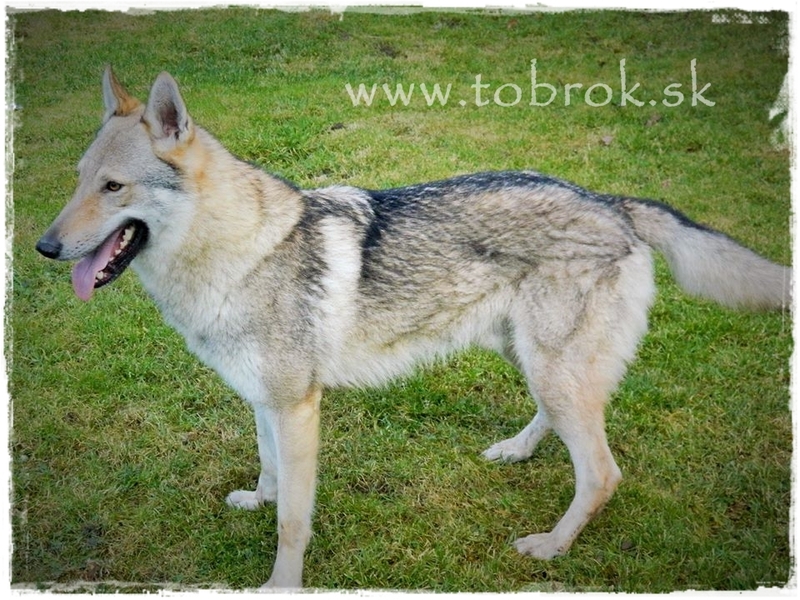 Amarok Saint Barbarons, champion class - Excellent 2, res.CAC. Casshern - Excellent 2, res.CAC (2/14!!! ), Casshera - Very good, Drogo - Very good, Barakka - Excellent 4. Pupps after Gunner Malý Bysterec x Connie Vlčí tlapka: Orava Malý Bysterec - Excellent 3, O´Taris Malý Bysterec - Excellent 3. 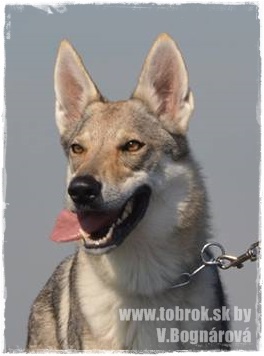 26.05.2018 - 60 years of Czechoslovakian wolfdog!!! The first pupps were born today! 23.05.2018 - Lets check my baking skills! Love them!!! 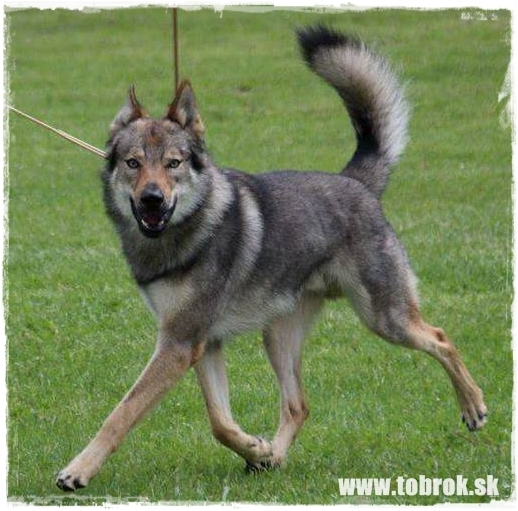 19.05.2018 - The last stud term absolved by son of our Gunner - Bojar od Našej Vlčice and he is now ner STUD MALE in Slovakia!!! We wait for results DM and DW. Profile here. 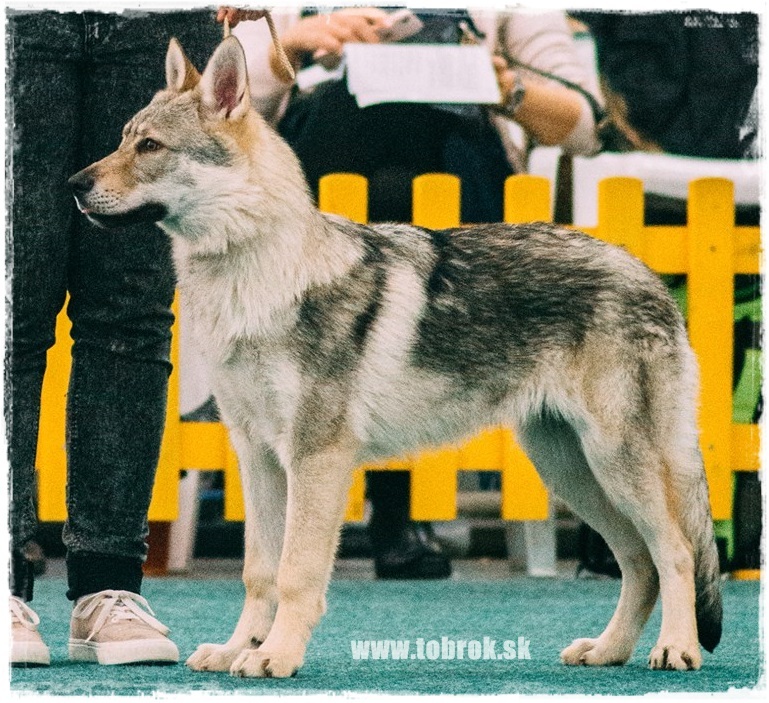 The first Austrian Club show of CsW and from our kennel Casshern - Excellent 2, res.CAC and son of Gunner - Obi Wan Malý Bysterec - Excellent 1, CAJC, JBOB, BOS!!! Congratulations!!! 16.05.2018 - This is THE SHOW OF THE YEAR for CsW!!! Two best expert judges for the breed! 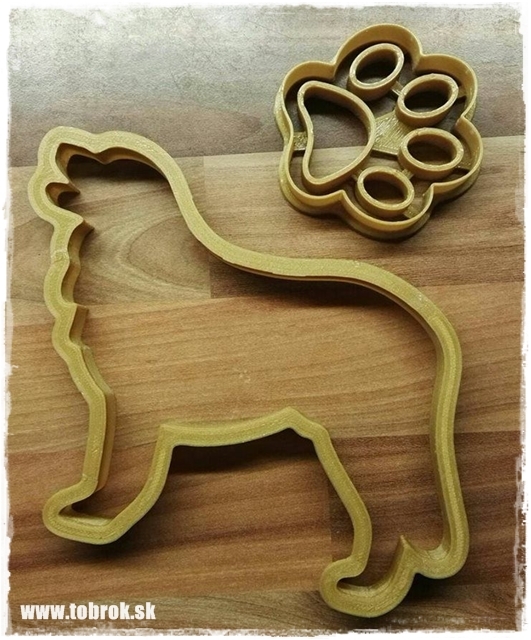 If you want to have a realy high quality judgement for your dog, is a MUST for every owner! 13.05.2018 - On CACIB Lučenec got Ewoka her last needed judgemet Very promissing 1 and is now new Puppy champion of Slovakia! Happy second Bday "C" litter!!! Casshern, Caleb, Convel, Cor Fortis, Caritas, Cloris Loris, Conall, Casshera. 05.05.2018 - On CACIB Praha Conall, judge p.Tomešková (CZ) got Excellent 2, res.CAC! 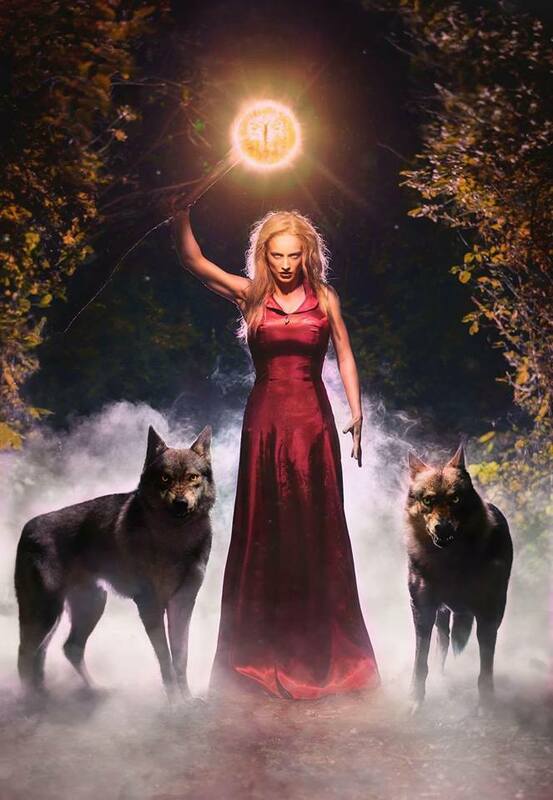 In finals with A´Lagertha Natheda got BIS Brace 5 (5/9). 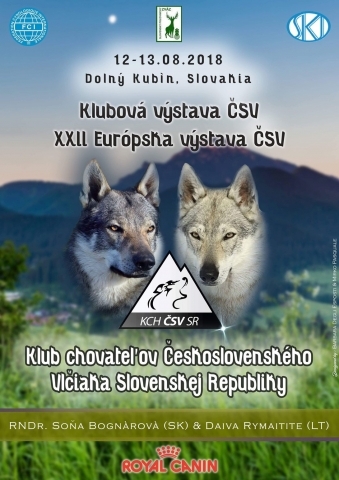 01.05.2018 - Regional dogshow Vlčkovce, judge: Václavík (CZ). Tobrok Caleb Yel - Excellent 1, Class winner, Regional winner and BIS 2!!! 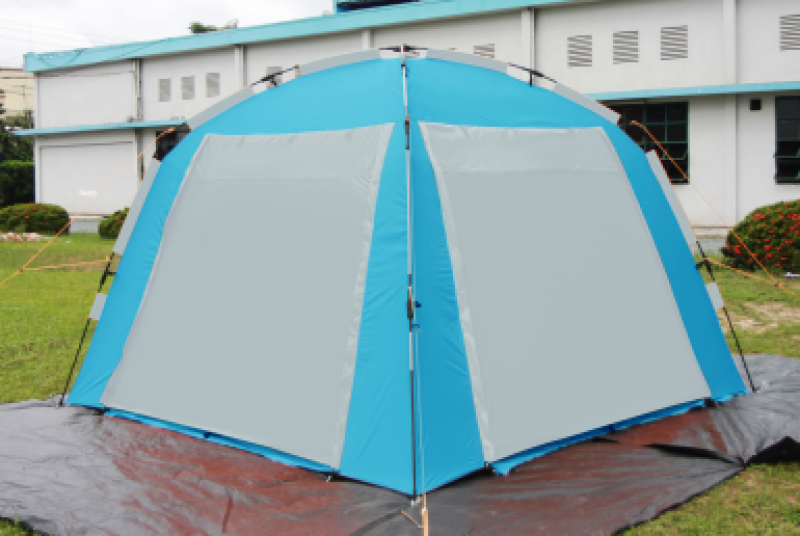 Tobrok Casshera Yel - Very good 1. 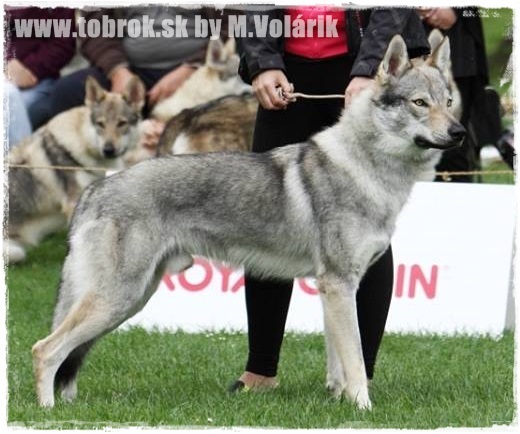 29.04.2018 - Lora (Akkanga Leon Eperies) on Club show in Mošovce - Drienok, judge: L.Novák (CZ), as the youngest in competition of 2 months older females Very promissing 3! 28.04.2018 - Happy Bday my beloved Leon (Amarok Saint Barbarons). 26.04.2018 - Preparations for the Leonberger club show! We are only in puppy class, we are the youngest, in competition, we do not have any chance, but... still, we train :) Lora is great in obey, understands realy quickly. 22.04.2018 - A day full of socialisation for our Lora! Her character is realy excellent!!! 21.04.2018 - Today was the endurance run SVP 1, with our progenies too. With this boys Casshern and Drogo will absolve the bonitation this year. Cloris Loris too! Caleb will absolve the SVP in autumn with Casshera and than in november the bonitation. 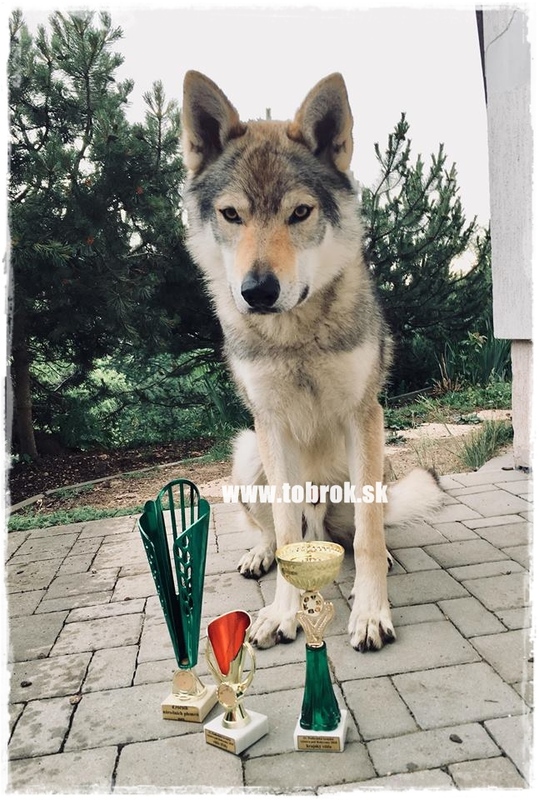 20.04.2018 - Amarok Saint Barbarons, even when participated on shows only the first half of year, has the title Top show hovawart of Slovakian club, 2nd.place. 14.04.2018 - I would like to introduce our new family member and also the member of our kennel Tobrok. 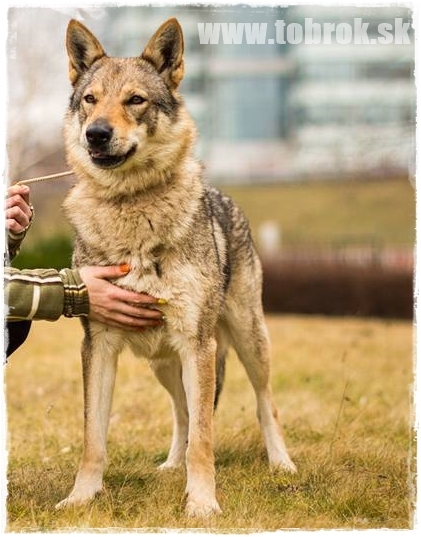 Sadly, we will not have any more wolfdogs dirrectly at us at home and our breeding of wolfdogs will continue only externaly from now on. After our coowned females and our progeny females. So it means, we will have puppies, but not at our home. We tryed to find a breed, that will match our high requirements. Hight, resistance against weather, but also a dog, that can stay inside the house with fmaily, strong health, great character, good to children, humans, animals, not aggresive and complicated. Hovawart fits to us nicely so we decided to search for something similar. Breeding of hovawarts is in plan in few years. 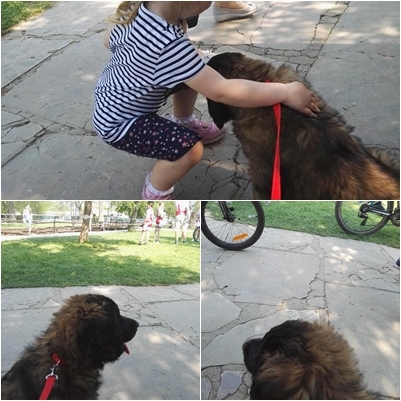 For now we decided the breed Leonberger, that was not originaly bred for protection, but as companion. Is a dog of bigger mass, but we love this. Im still in searching for the correct breed status, so maybe we try in future more breeds until we find the best for us. 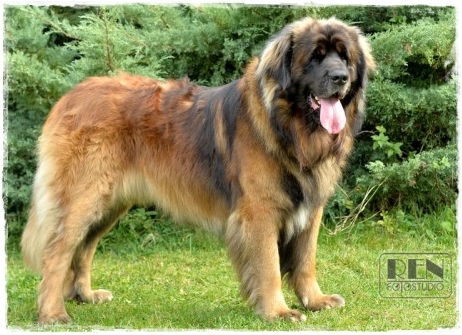 But for now, leonberger is the best that I have found. So I would like to introduce our leon girl "Akkanga Leon Eperies", nickname Lora. With the help of the breeder we hopefuly choosed the best, since we are interested in shows, breeding, but the most perfect character for family and strong health. Profile of our Lora is here. 12.04.2018 - First time and so with huge sadness I have a very sad news. Today died Ati (Tobrok Biryuk Bor). We are terribly sorry and sad. 09.04.2018 - Photo by Pavol Hudáček, with Caleb (left) and Angstroom (right). Result is amazing and absolutely stunning! 08.04.2018 - CACIB Nitra, judge: Szabo (HU), Caleb - Excellent 1, res.CAC, res.CACIB (1/4), Ewoka - Very promissing 1 (1/1) BIS PUPPY1!!! !, Barakka - Excellent 3 (3/4), Casshera - Excellent 2, res.CAC (2/2). Photo: P.Trváničková. 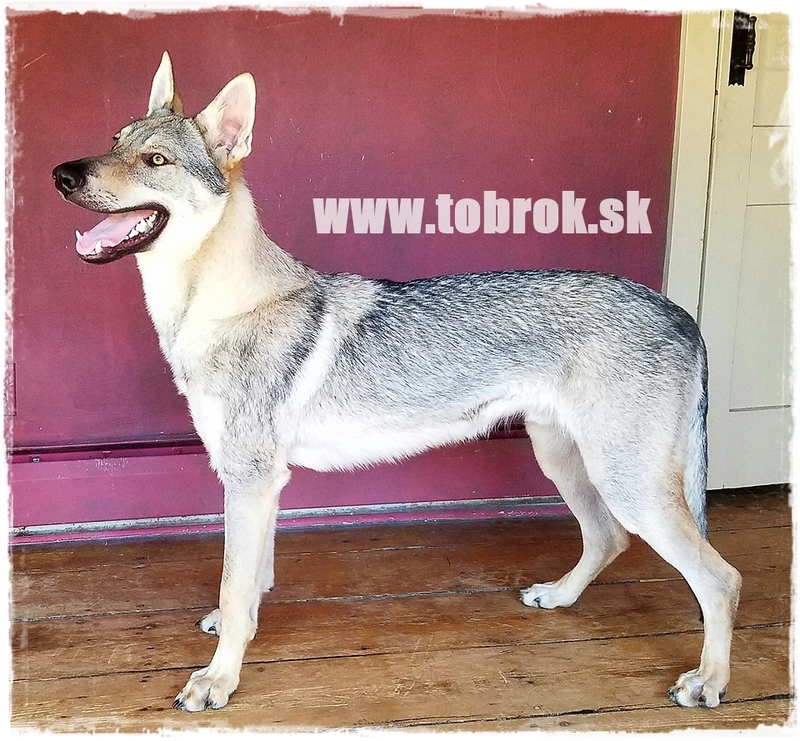 07.04.2018 - CACIB Nitra, judge: Jipping (NL), Caleb - Excellent 1, CAC (1/4), Barakka - Excellent 2, res.CAC (2/4). 26.03.2018 - Puppies after our Leon (C.I.E. 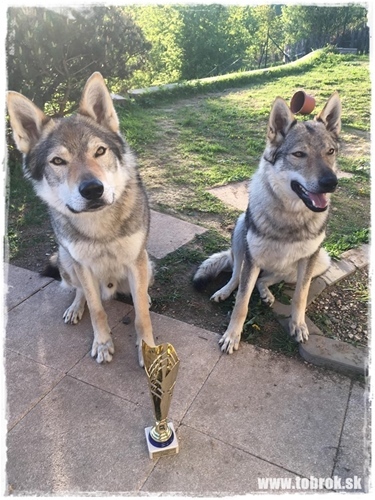 MultiCh, MultiGCh, Amarok Saint Barbarons) today celebrate their first birthday! Happy Bday Cora and Cyril. 21.03.2018 - Next change on the pages is a new button - About breeds - right in upper menu. 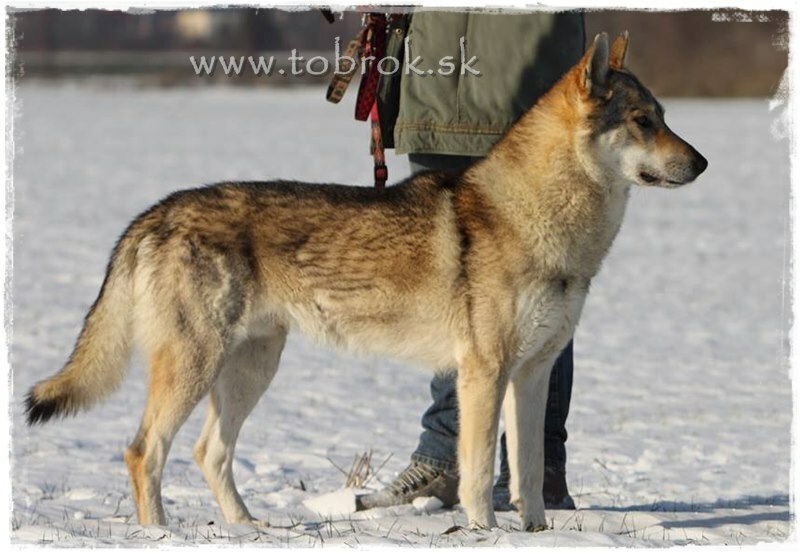 Since we have a hovawart male, I have in Slovak part also a short part of pages dedicated to this breed. 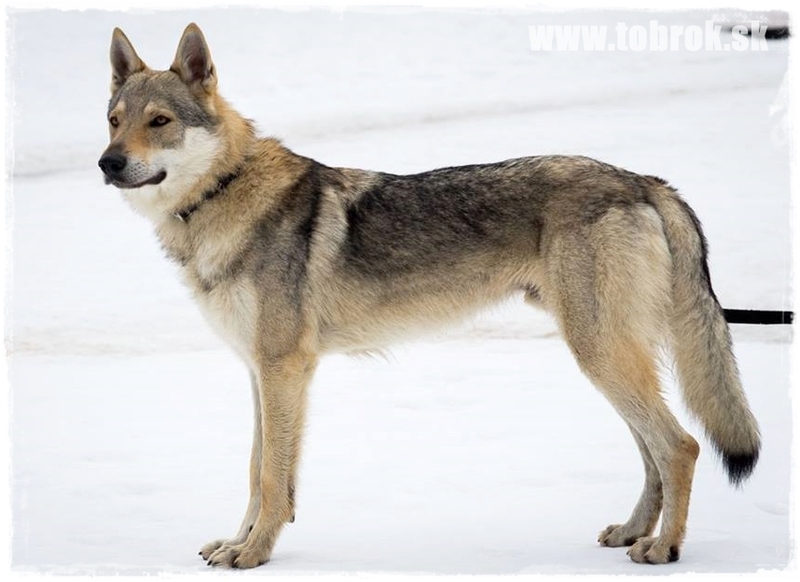 But I will not translate them, since the hovawart breed is known in more countries than wolfdogs and you can find info on Google easy. But to have the pages quite the same as Slovak, i have changed this part too. 20.03.2018 - The system in part about litters has changed. The litters do not have now separate subpages for info about planning and actual litter, but all info will be shown only as one pages as Litter. 19.03.2018 - Since today, you will find in upper left the info about last date of editing the concrete sub page. 15.03.2018 - New part - Media - our dogs and progeny in TV and media. 14.03.2018 - New part - Summary dogshow results of our progeny. 13.03.2018 - Today is the 4th birthday of our "A" Aki puppies - Ankh Ror, Aurorrox, Angstroom a Aadvark! 04.03.2018 - CACIB Graz, Austria. Judge: Muldoon (IRE), Drogo - Very good 1, Casshern - Excellent 1, CAC, CACIB, BOS!!! Congratulations! 03.03.2018 - There are new ilustrations in part about feeding. 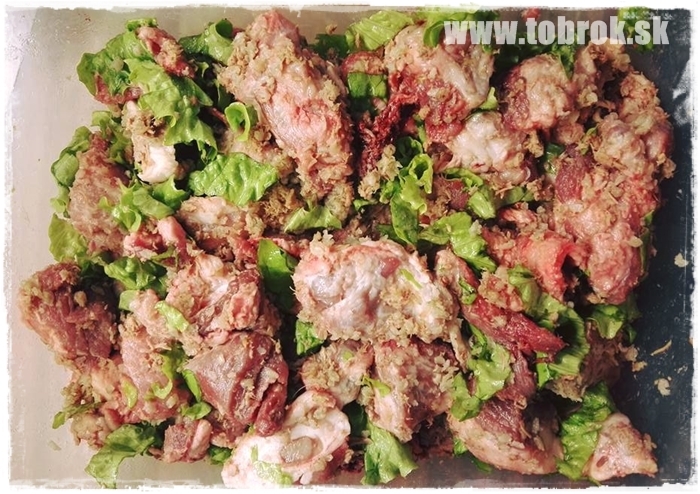 Also a new part - How do we feed our dogs - the raw way. 25.02.2018 - The part about breeding corrected, some parts deleted or translated. The basic informations about breeding dogs can be found on internet, so no need to translate them. Now its time only to check some small mistakes and design changes and the pages are updated in english. THERE WILL BE NO MORE translations, only updates in part about kennel. 24.02.2018 - The part about training corrected, some parts deleted. There are tons of texts about training by exams on internet, so no need to write them down here. 23.02.2018 - Great news! Orava Malý Bysterec (Gunner MB x COnnie Vlčí tlapka) is HD free and ED free too!!! Congratulations! 22.02.2018 - Yay! 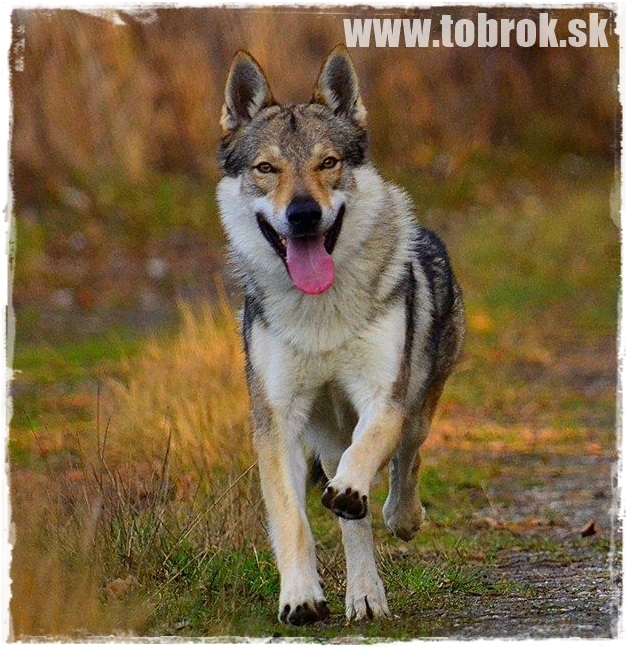 Finaly also the part about education of wolfdogs is revised, updated. Many wrong translates are now corrected and texts updated. Now its time for training part and the last will be breeding. 17.02.2018 - Finaly, the part about puppies is online. I highly recommend to read it. I have corrected the texts, something is new there and it will sure help to know a bit more about behave of CsW puppies. Also the part about health is now bit different, describes only the basic DM, DW and HD problem by CsW. 16.02.2018 - Video, where our wolfies can be seen is now online. You can find it on Youtube tu. 07.02.2018 - Finaly I have finished the Nutrition part!!! 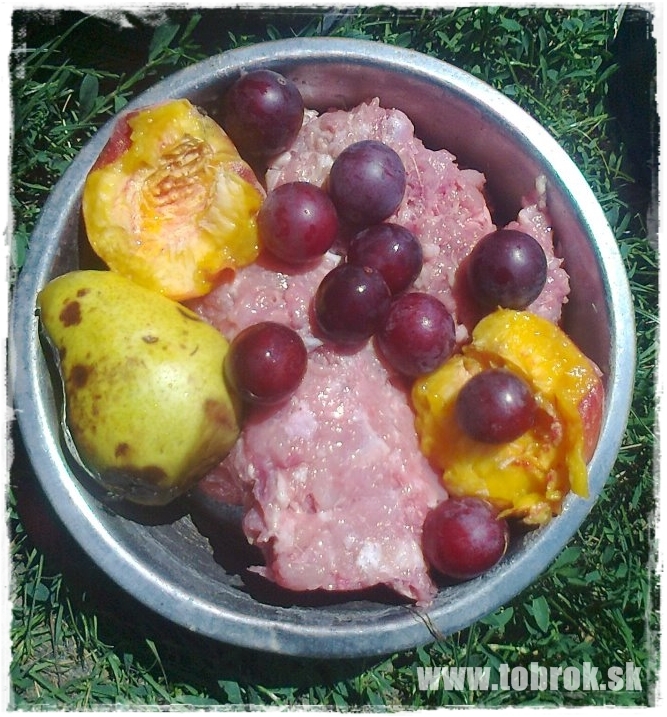 It took long time to get to this part, but finaly, all corrections are done, still english words may have mistakes, but Im sure, not so many, as it did until today :) I did add also photos of food, that get our dogs. Whole text here. 06.02.2018 - Even when our Caleb has the terms already done, now we can say officialy, he is puppy champion of Slovakia and Junior Slovakian champion of beauty. In this season, he will absolve few more shows, but not so many. 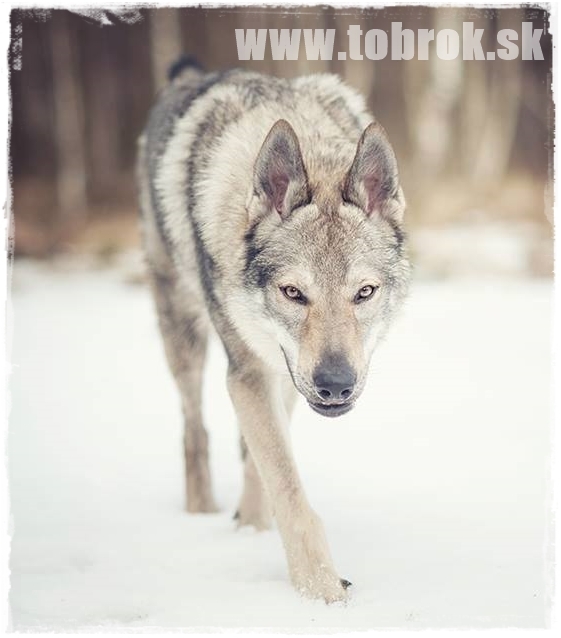 We plan Nitra in february, Club show and the Slovakian national breeds special show. To continue his adult champion, he will ned CAC from two seasons, so lot of time to go. We will see, when and where the Europenian dogshow will be and think over his registration. The final will be bonitation in august, but I dont think there will be problems, he has great open character and nature and has no faults in exterior. So, if everything goes well, he will be at end of this year mated to Angstroom. She is DM and DW free, so we must not wait for the results. We plan to mate him also to Akia Tawy, but the DM test will tell us more, since Akia is carrier, so he must be, sure, clear. 04.02.2018 - Emperorra left to Denmark today. They have a houndrets of kilometers before them, I am sure, they will be safe and come home to Harlev. 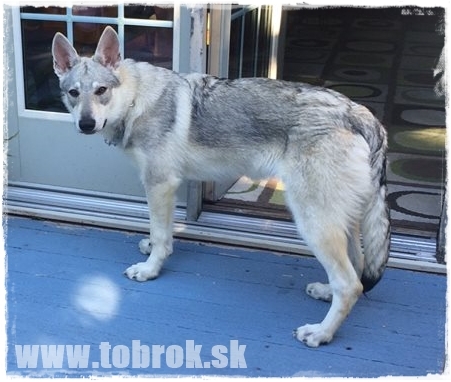 Her sister Ewoka is a huge puppy, now in 4 months 50cm and 16,5kg! 31.01.2018 - I have finished update and corrections in Standard in pictures part. Sooo many mistakes :D But now should be updated and I have add some new photos too. 30.01.2018 - Update in History of the breed! 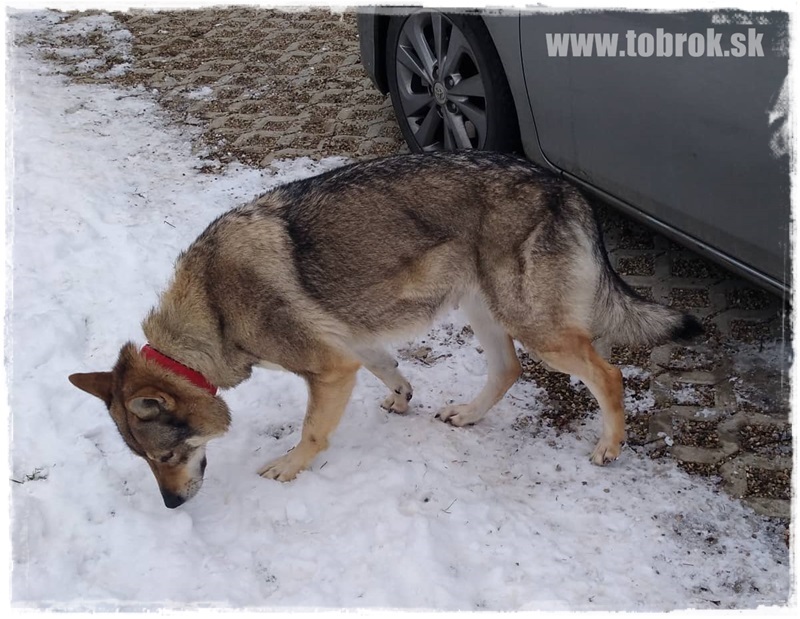 27.01.2018 - First female from litter "B" after Barbora Tawy and Aimu z Dubničanky, Tobrok Barakka Bor has examed the HD and ED, with the best result. HD A/A and ED 0/0!!! Congrats to owner and thank you. Barakka is prepared for endurance run in spring. 25.01.2018 - Obi Wan Malý Bysterec (Connie Vlčí tlapka x Gunner Malý Bysterec) has also examed the HD and ED, with the best result. HD A/A and ED 0/0!!! Congrats to owners and thank you. 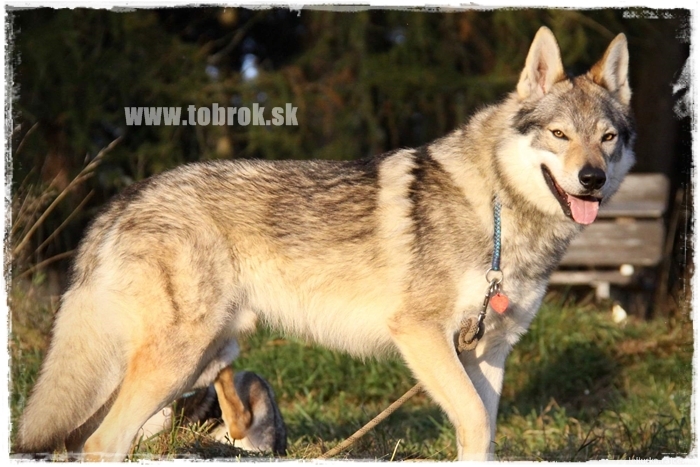 24.01.2018 - First from our litter "D" after Tara Kysucká hviezda and Gunner Malý Bysterec, Tobrok Drogo Tar has now examed hipps. HD A/A and ED 0-0!!!! Congrats to owners and thank you. Drogo is prepared now for the endurance run in spring. 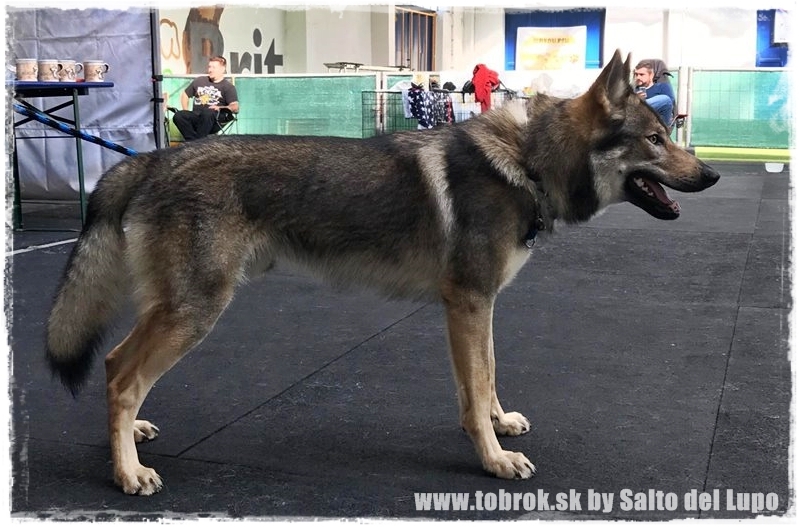 23.01.2018 - Update and corrections in part about dogshows - Slovakia and showing a wolfdog. 21.01.2018 - I would like to present our new breeding hope. Female Dada z Iduškinej farmy. Parents are ChSR Elektra z Blatnických vinic and JChSR Element of Life Šedý poklad. 20.01.2018 - Our Akia Tawy is 6 years old! 19.01.2018 - Update and corrections in part about health. 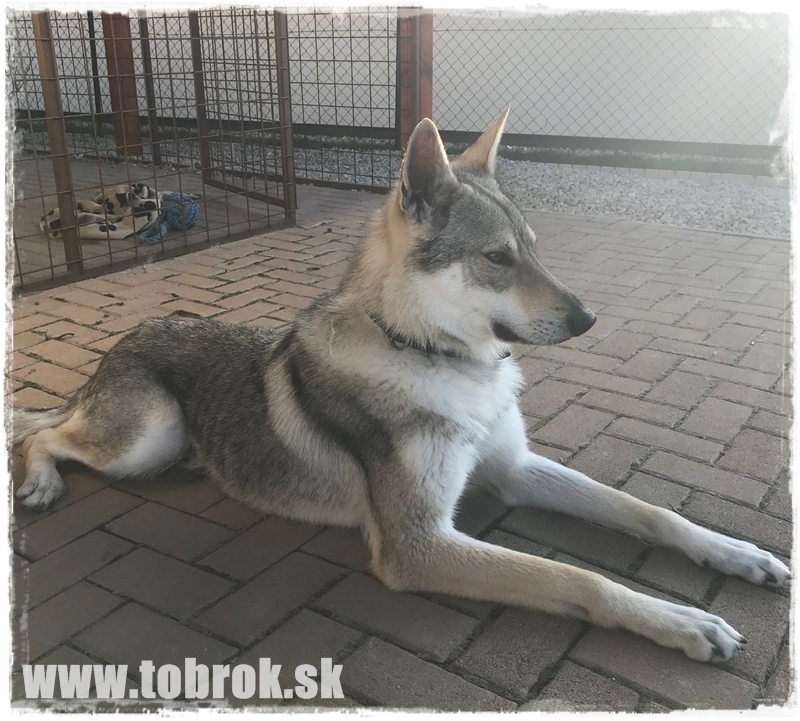 18.01.2018 - Update in our kennel informations and about our dogs. 16.01.2018 - The Slovak part is fully updated. Now its up on the english. It may take several days. 14.01.2018 - Yesterday Angstroom, Caleb and Emperorra took part in the clip of rock band Inside to theire new song Stopy slobody. We will sure share the final clip :) For now the photos from set. 11.01.2018 - Finaly the pocals for our intern competition arrived. Tobrok 2017 and Show Tobrok 2017!! 10.01.2018 - HD and ED absolved two brothers after our Gunner Malý Bysterec Drogo and Obi Wan Malý Bysterec. Barakka also absolved HD and ED. Now we wait for the results. But all seem to be excellent. 09.01.2018 - We plan our breeding plan for 2018. Exterior, pedigree and character excellent litters F, G, H, Ch, I. If everything went good, we cover the litter after Chase Arqeva. We plan litter after our Angstroom with Caleb and her mother Akia Tawy also with Caleb - if his DM is clear. We plan litters after Casshera and Cloris Loris. They both miss the bonitation, made this year. We do not await complications. But its up on the heat of the females. 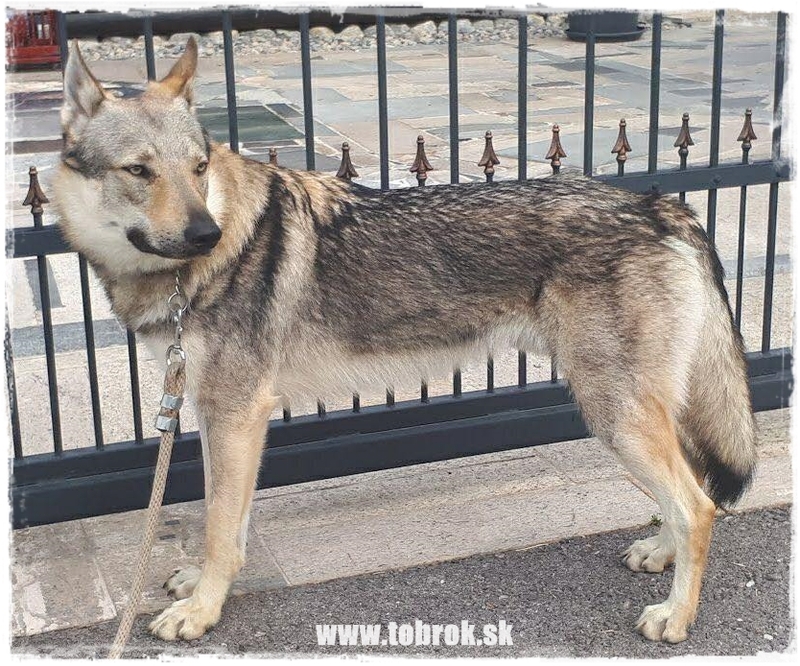 08.01.2018 - prepared as stud are also very nice brothers from litter "C" our own Caleb, his brother Casshern, in Czech Conall and probably Convel. Are from combination Yelka z Litavské kotliny, female with extreme good character and Baxter Vlčí tlapka, male with excellent exterior. Our Caleb is HD A/A, prepared for bonitation in august. Has great exterior and open character! Casshern, male with bright colors has already HD and ED, both free. Prepared for bonitation this year. Convel will be only probably prepared for stud terms. Is a huge male, about 70cm already, with nice exterior! Conall lives in Czech, has already all terms, only bonitation this year is missing. 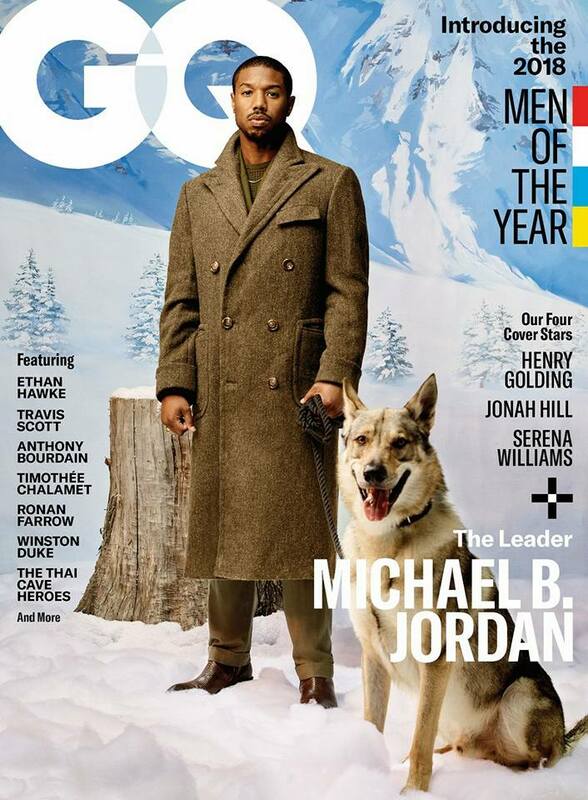 Has longer coat, great open character, nice eye. 07.01.2018 - Prepared as stud very perspective male from our breeding Baharak. Is from combination Barbora Tawy (without any progeny in breeding) and Aimu z Dubničanky (also without any progeny in breeding). In exterior nice male, with open character, with nice light eye, dry mouth, excellent angulation. On shows BOB, CAJC, but not showed so much. Soon HD and ED, in spring endurance run and than bonitation. 06.01.2018 - Two dogs after our Gunner Malý Bysterec living in Slovakia. Mother is Agira Vlčí démon. Bojar od Našej Vlčice. On photo left, prepared for endurance run and bonitation this year. His brother is already stud male Bak od Našej Vlčice (photo right). Both great exterior and character. 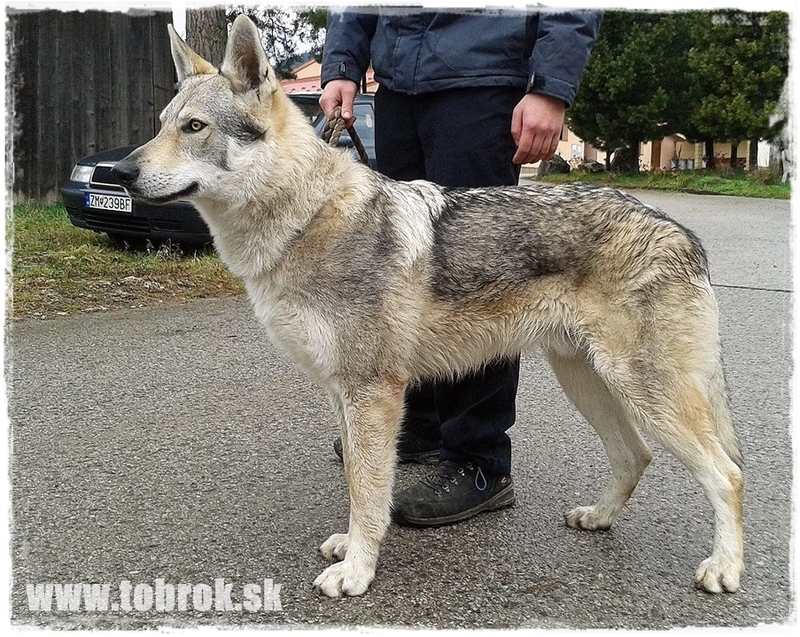 Bojar is presented under our kennel. 05.01.2018 - Im working on slovak part of pages, the english will be under construction soon. 03.01.2018 - There is a new TV show, called "Vlci" (translated as Wolves) and our dogs are in the title song. Barakka, Baharak, Caleb and Casshern. You can see the full version here video. 01.01.2018 - Created news archive for year 2017.